This listing is for a complete boys formalwear outfit including; waistcoat, trousers or shorts and a bow tie. 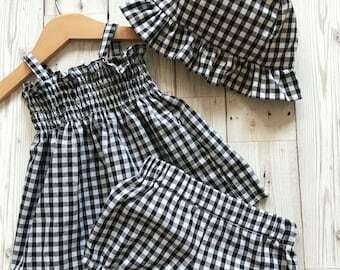 Available in sizes from 0-6 years. 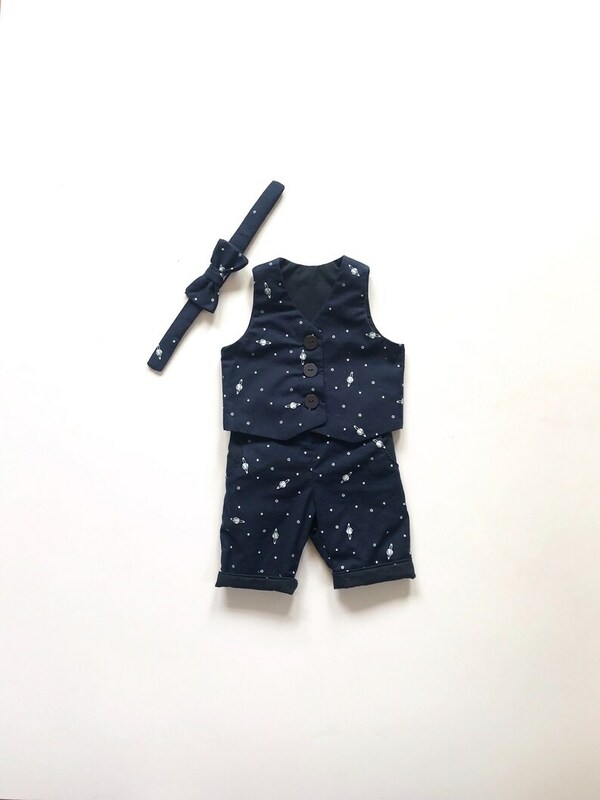 This cute boys outfit is made from dark navy cotton fabric with a space themed print in white. The outfit is fully lined with plain navy fabric. The waistcoat buttons down the front with three navy buttons. The trousers have an elasticated waist and pockets on the front. The bow tie fastens with two poppers on the back of the bow tie collar. 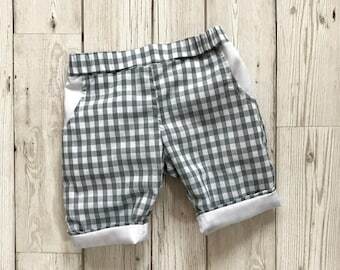 The trousers can also be made as shorts, please select this option when placing your order. If you have any queries regarding size or if you would like to order this style in an older size then please contact us to discuss further, we are always happy to help where we can! Easy to care for, these trousers, waistcoat and bow tie can be machine washed at 30 degrees and tumble dried or line dried.